Daniel Levy has said Tottenham Hotspur “really didn’t want to” play at Wembley for longer than one season while the new stadium was being built but the club had no choice. After months of delays, Spurs finally played the first match at their new stadium on Wednesday night, beating Crystal Palace 2-0 to return to third place in the Premier League. While the White Hart Lane-based arena was being constructed, Tottenham played their home games at Wembley, where they spent the entirety of last season and the majority of the current campaign. Ahead of Wednesday’s match, the club published an open letter from Levy revealing the details behind the 18-year journey from the old White Hart Lane to the new stadium. And the Spurs chairman admitted staying at Wembley this term was the last thing the club wanted. 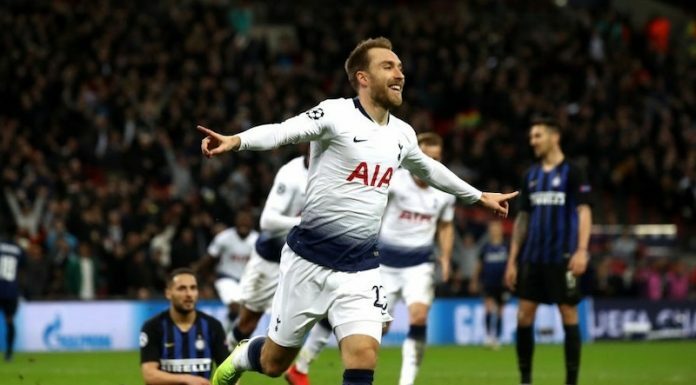 “We reached agreement to play at Wembley for a season, with a fall-back that we could be there for longer, although that was something we really did not want to have happen,” Levy wrote. “Yet again we looked for the positives. The increased capacity at Wembley meant that over 90,000 additional, new ticket purchasers joined our database, and saw the team play, buying 340,000 tickets between them. This would never have been possible at WHL and also not possible at our new stadium. “We broke the record for the attendance at Premier League matches no fewer than three times – beating Liverpool, Manchester United and Arsenal on those occasions. In the Champions League we filled Wembley and witnessed remarkable games against Real Madrid and Borussia Dortmund. The big move turned out to be worth the wait as goals from Son Heung-min and Christian Eriksen secured the points for Tottenham. Over 59,000 fans watched the team seal its first win. Check out our player ratings here.